In my last blog post I related the story of how the Gaels triumphantly arrived in Ireland and how their poet-seer Amairgen wooed the goddess with his magical poetry. This story marks the ascendency of the Gaels over their predecessors, the Tuatha Dé Danann. The Tuatha Dé Danann were the old gods of Ireland. When the Gaels arrived and successfully wooed the land over to their side, it was agreed that Ireland should be divided equally between the Gaels and the Tuatha Dé Danann. It was Amairgen who divided up the country. The Tuatha Dé Danann received the lower half of Ireland, the territory under the earth, whilst the Gaels received the upper half, that which was above ground. And so it was how the old gods came to inhabit the hollow lands and hilly lands of Ireland. Access to this realm was through what became known as the síd-mounds, what are today commonly referred to as fairy forts. Oweyngat, the ‘cave of the cats’ at Rathcroghan, Co Roscommon, is popularly seen as an entrance into the Otherworld. 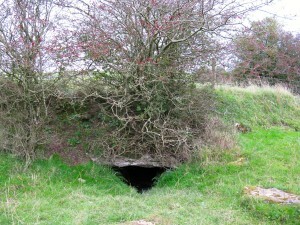 At Halloween, creatures emerge from this cave to cause chaos all over the country. Emain Macha ‘Navan Fort’ Armagh. This reveals that both the land and the old gods were accepting of Conchubur as king and this recognition is indicated and expressed through the abundance in nature and the natural environment and through peace, prosperity and harmony in the human society. 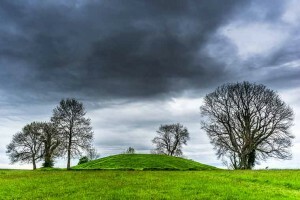 Quite a number of the extant Irish myths have Samain as their temporal setting and quite often they involve meetings or trials between the humans and the inhabitants of the síd-mounds. Magical events and supernatural beings were more likely to be encountered on Samain; the dead, ‘fairies’, and witches were all roaming through the human realm at Samain. 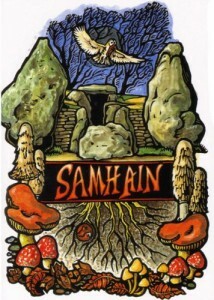 Historically, the Celtic year is generally understood as having been divided into two basic halves, sam or samh-radh (summer) and gam or geimh-readh (winter), beginning at Bealtaine/May, or Céideamhain, (first summer), as it was originally known, and Samhain/November respectively. 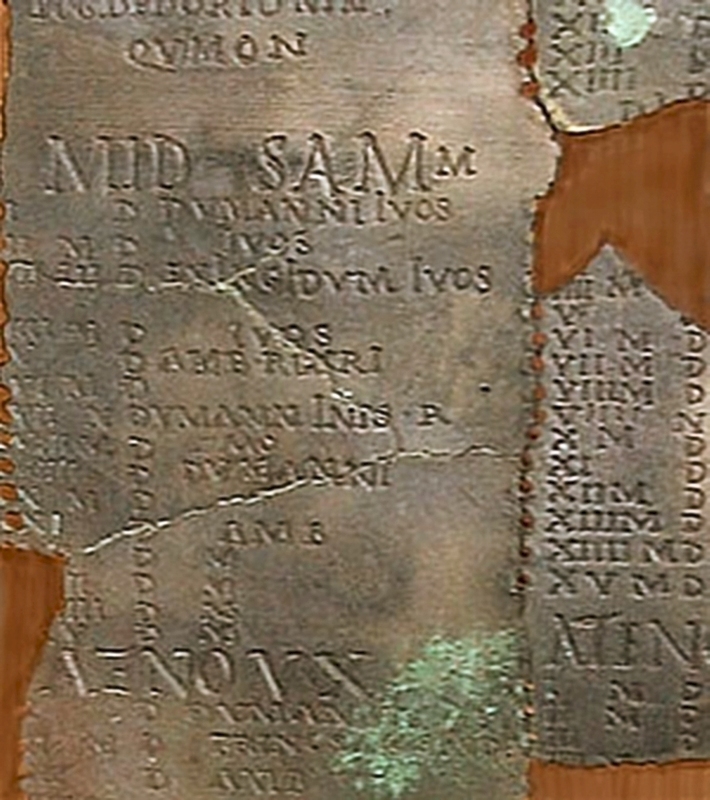 Cognate words which express this division are also found in Gaulish names such as Samillus and Giamillus and the Gaulish Coligny calendar is clearly based on two different divisions of six months to commence on the months Samon(i-) and Giamon(i-) respectively. Of course, these words, samain and gamain, represent the origins of Irish. There were also divisions in the Indo-European pastoral year that was also maintained by the Celts, so they could try to influence the cultivation of crops between the other two festivals, Imbolg, which has been Christianized to St Brigit’s Day on February 1st, and Lúnasa, at the start of August. The Coligny calender, poss. 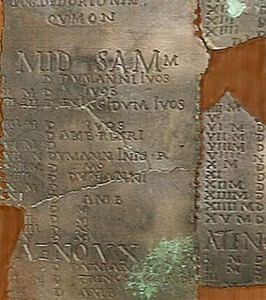 2nd century AD, a lunar calender, discovered in France, which divides the year into two halves. 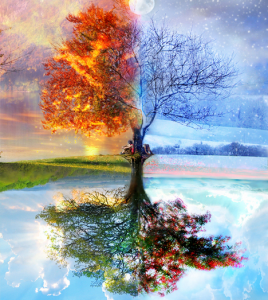 However, there is no doubt that there is basically the same two halves to the year in Ireland and in ancient Gaul, such changes to effect or assist the transition between the solar year and the lunar year. Therefore Bealtaine/Céideamhain and Samain of the Irish corresponds to Samoni- and Giamoni- of the Celtic Gauls. 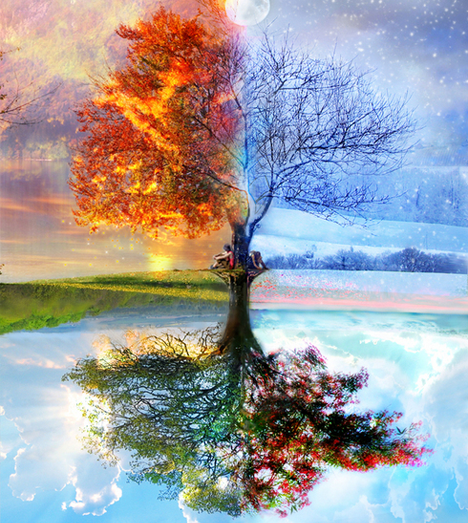 It represents an older two-season or two half-year system, in which Samain marks the edge between the light half/summer (from which it was named) and the dark half/winter. The basic meaning of Samoni- is ‘the summer’ in essence and is clear that the Irish speakers use this term to express the beginning and end of a period. Some glosses show this view clearly. 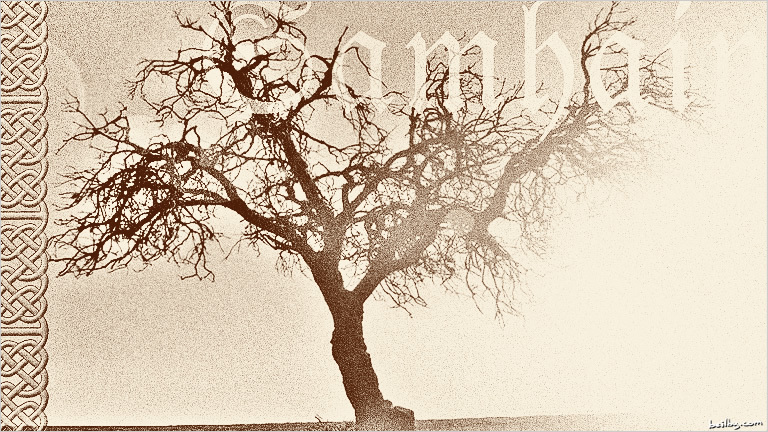 For example, in the myth ‘The Wooing of Emer’ there is a gloss which says: ‘from Samuin, i.e., the end of summer. For two divisions were formerly on the year, viz., summer from Beltaine (the first of May), and winter from Samuin to Beltaine”. The glossator then attempts an etymological interpretation of the word: ‘Or sainfuin, viz., suain (sounds), for it is then that gentle voices sound, viz., sám–son ‘gentle sound’.’ Although the etymology is in itself wrong, they provide important evidence for the view in the ancient world of their attempts to try and understand the festivals and seasons of the year.